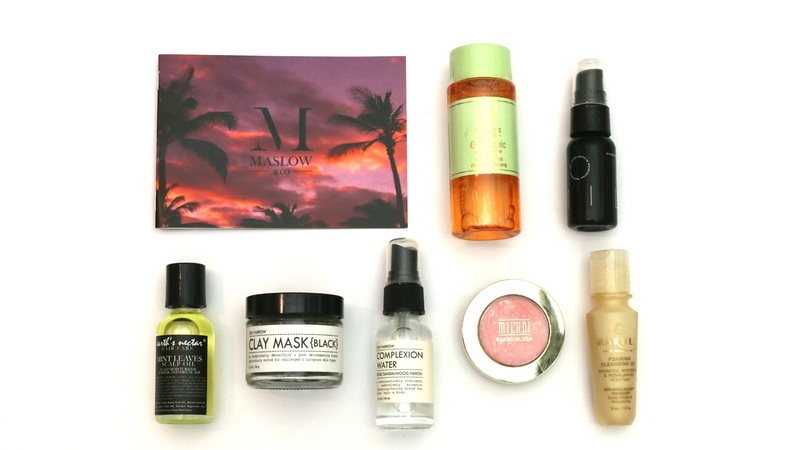 The next Maslow & Co box has arrived and it's a beauty! The theme for this box is West Coast USA and the team at Maslow & Co did a brilliant job pulling this together. A small but super handy change (for reviewers) is that they have included the sample value in the info booklet, going forward I will be using these values since samples are always worth more than just a simple weight to dollar calculation, I typically use this method to value samples because it's impossible for me to accurately value packaging, now that the sample values are clearly listed we can get a more accurate idea of what the box is worth. Thank you so much Maslow & Co, you made my job easier. This is the Maslow Maven gift for this edit, to qualify for the Maslow Maven gift you have to review your box contents and refer a friend, this item was missing from my box when I filmed my unboxing but the team at Maslow & Co were on the ball, they had sent me an email days before the box arrived letting me know that they had shipped it separately due to a problem with my Maven status being listed incorrectly. I love how on the ball Maslow is, they go to lengths to ensure that everything is perfect with the boxes and when it's not they fix it without batting an eyelid. That is good customer service right there. Leave in hair treatment containing 16 essential oils and proteins. The packaging is to die for! A hair oil aimed at all hair types, can be used in the ends and lengths on dry, damaged or frizzy hair, on the scalp to encourage hair strength and growth and also to combat a dry scalp or dandruff. This contains Sweet Almond oil and Jojoba oil for hair health and Rosemary oil to promote scalp health and growth. Very excited to try this, I often use Rosemary oil to encourage hair growth and it's a go to product when I'm not trialling other hair growth products. This is a powder face mask that you mix with your choice of liquid carrier, some suggestions are green tea, honey or yoghurt. The black mask is aimed at treating oily or blemished skin. Other variants found in boxes are Red, White or Green. Bit of an all in one spritz, skin soother for after sun exposure, gentle toner or makeup refresher. Recommended for use after the clay mask included in the box. So exciting to see a Milani product in the box! Ok so it's considered a very affordable brand in the states but in Australia this brand is hard to come by, if you want it you have to buy online and you run the risk of ending up with a colour that's not quite what you were looking for. Stoked to have this! A FOAMING CLEANSING OIL. Enough said. Love this box, everything in here excites me and Maslow & Co continue to be my favourite subscription box to date. 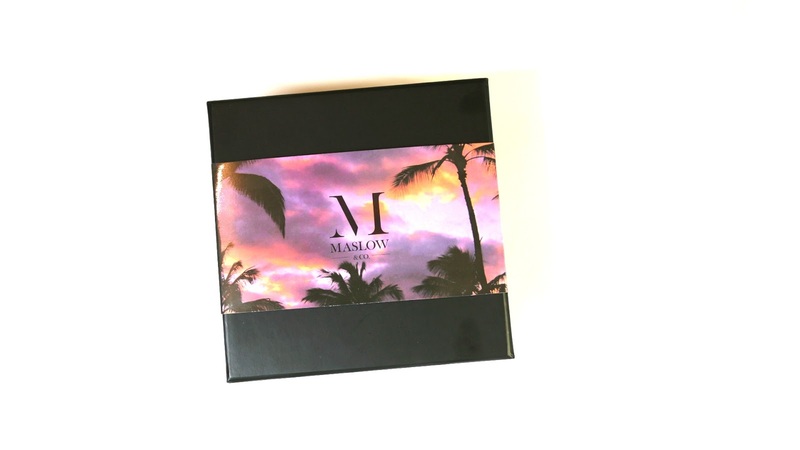 What do you think of the West Coast USA Maslow & Co box?